Cut out all of the white from the template. You will be left with the Bible border shape and the small cross shape. Place the Bible shape onto a self laminating sheet or contact paper, construction paper side down. Place the cross shape onto the self laminating sheet or contact paper. Fill the inside of the Bible with tissue paper. Cut out the Bible from the laminating sheet or contact paper. 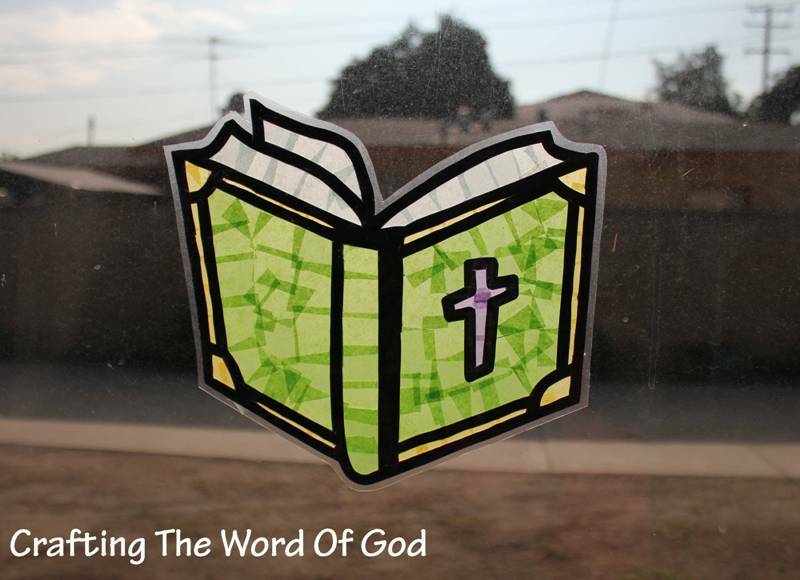 Stick the Bible to your window with double sided tape. 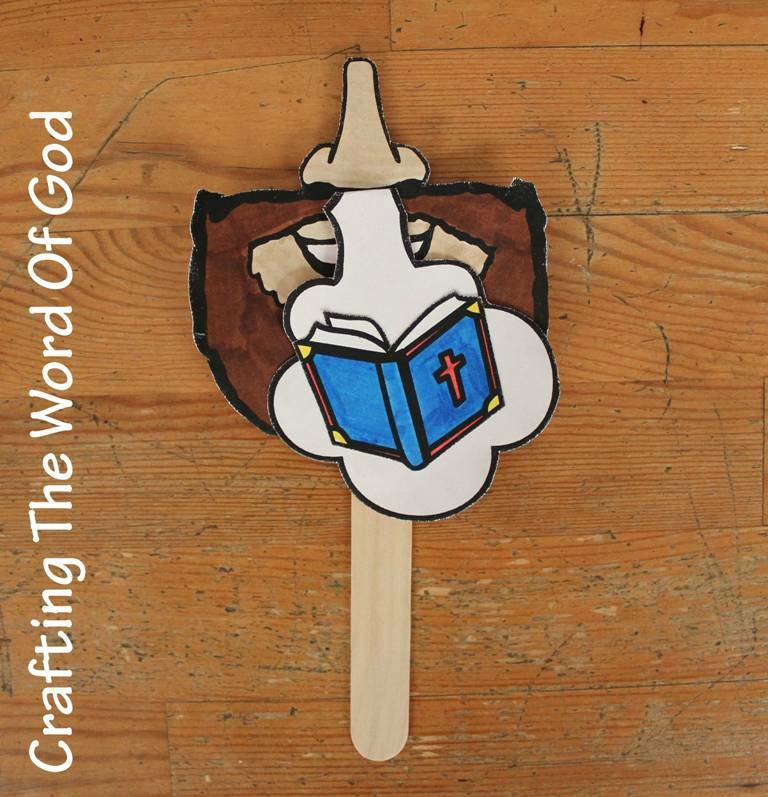 This entry was posted in Bible, Bible Crafts, NT Crafts, OT Crafts and tagged bible, bible crafts, Bible sun catcher, craft, crafts, Scriptures, sun catcher, word of god. 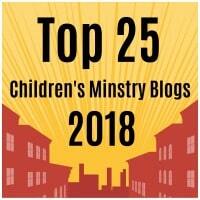 A simple beard your kids can make for a variety of Bible stories. Color and cut out the beard. There are two ways of wearing the beard. 1 Glue the beard to a large popsicle stick. 2 With a one-hole punch, make two holes on each side of the beard. Then add a long piece of yarn through each hole. 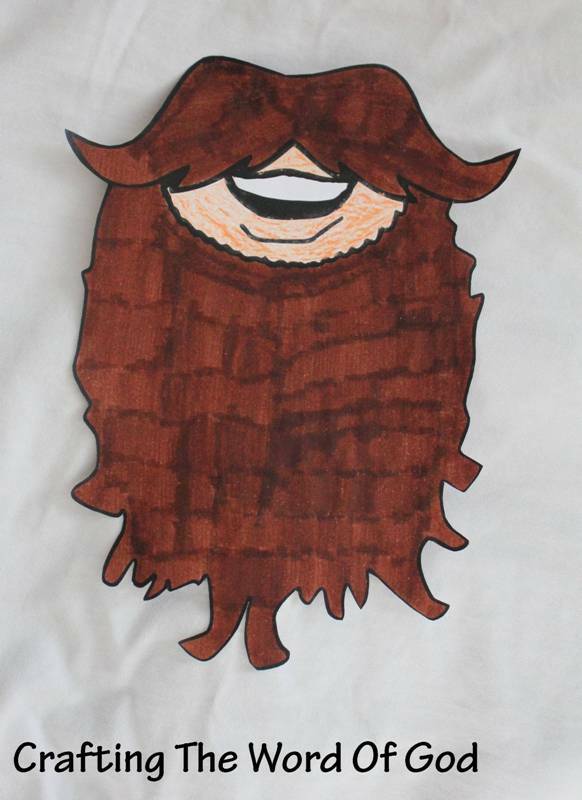 This entry was posted in Bible Crafts, NT Crafts, OT Crafts and tagged beard, bible, bible crafts, Bible stories, craft, crafts, mask, stories.